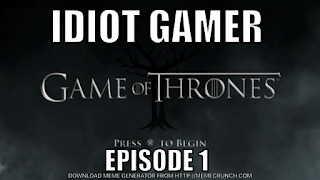 Pablo Gunner plays the 1st episode of the Game of Thrones Telltale game. He also gives his review of it at the end. Watch it, see what you think, and tell him what you think of it. You can purchase the Telltale Game of Thrones game on all platforms or download it for the month of July 2017 if you have PS+. Nerdy After Dark: Trump, Chester, Zima, etc.